‘Animate’ dog coats – the ultimate in canine luxury! Manufactured in a soft-touch, tear-resistant, fully-padded material, these jackets are designed to take care of the welfare of your dog – being waterproof, windproof, reflective and moisture-permeable. The three available colour styles. 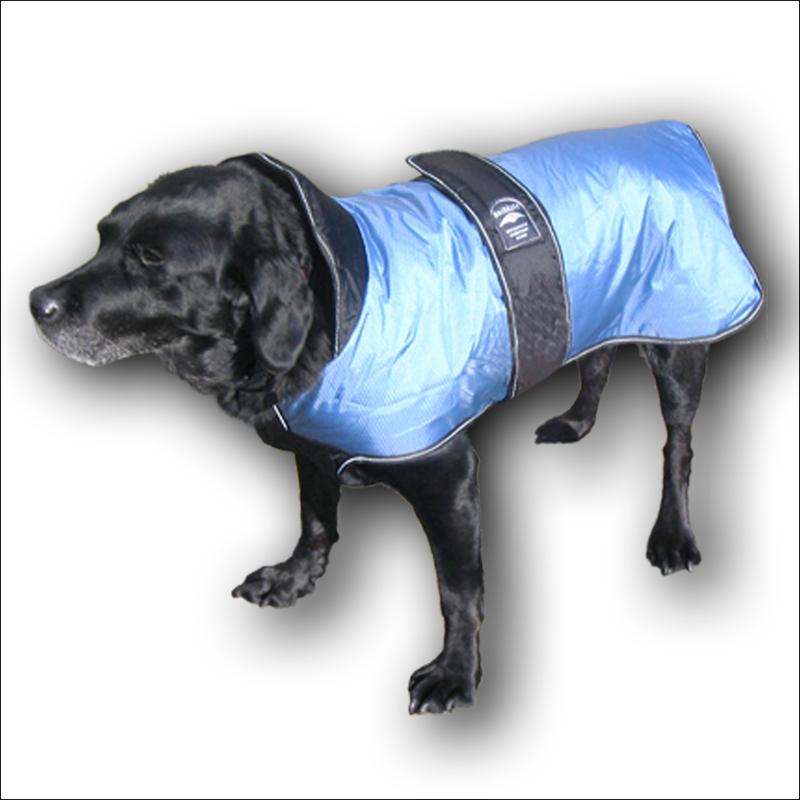 We offer a choice of luxury padded coats; this range includes an under-body panel. 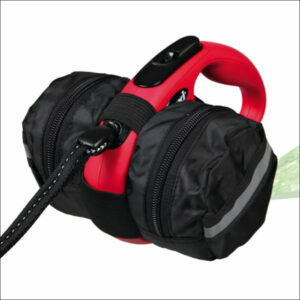 The outer material is manufactured from 100% ‘breathe-time’ nylon. The padded coats are manufactured using a 100% polyester filament, whilst the soft inner lining of all the coats is 100% cotton/polyester. Animate coats, which are available in a wide range of colours, can be wipe-cleaned using a damp cloth and are all fully machine washable. The ‘Breathe-time’ fabric used in Animate coats is produced using hi-tech processes to achieve water and wind resistance (to keep adverse weather out) together with high moisture permeability (to let the dog’s natural vapour out) whilst maintaining a cosy, soft-touch feeling, ensuring the jacket is not only extremely purposeful but also very comfortable to wear. ‘Breathe-time’ also maintains the animal’s natural body temperature whilst performing outdoor activities; with exterior temperatures ranging anywhere between the extremes of -20 degrees to +45 degrees the ‘Breathe-time’ fabric will maintain a pleasing temperature for your dog. Animate coats are available in a range of 14 sizes, from 8″ (20cms) to 34″ (85cms), in 2″ (5cms) increments. The huge amount of adjustment available means that problems associated with fitting around the girth are very rarely encountered. The Animate Jet coat’s fabric incorporates a reflective quality. The photos alongside show the pleasing diamond pattern featured in all three colours of fabric. The waterproof, windproof, reflective, padded Animate underbody dog coat will have your dog living in luxury! 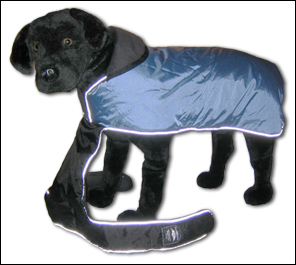 Fitting an Animate Jet dog coat on your dog is simplicity itself. 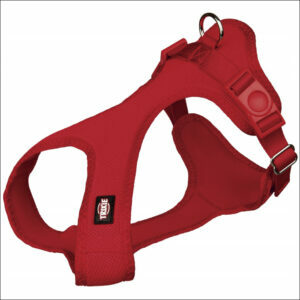 Firstly slip your dog’s heard through the hole, then pull the coat loosely along the dog’s back. Hook one of the elasticated loops around each rear leg. Now pass the under-body panel between and through your dog’s front legs. 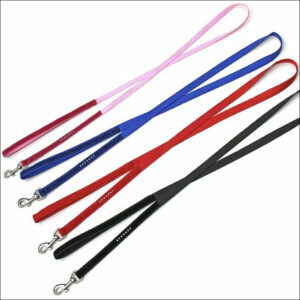 With that done, flip one of the padded fastening straps around and over one side of your dog’s body and the other strap around the other side. Then, over the top of your dog’s back, velcro them together. 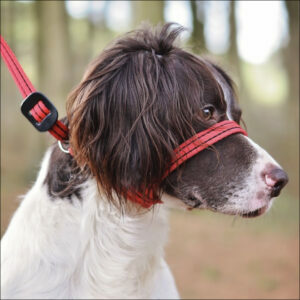 There is a generous amount of adjustment available on the both the velcro-covered straps and the velcro’ed area on the coat – irrespective of the chest size of your dog, if you’ve determined the correct length of coat it is almost certain to fit your dog. The Animate Jet coat’s fabric incorporates a reflective quality. The photos alongside show the pleasing diamond pattern featured in both the black and scarlet fabrics. 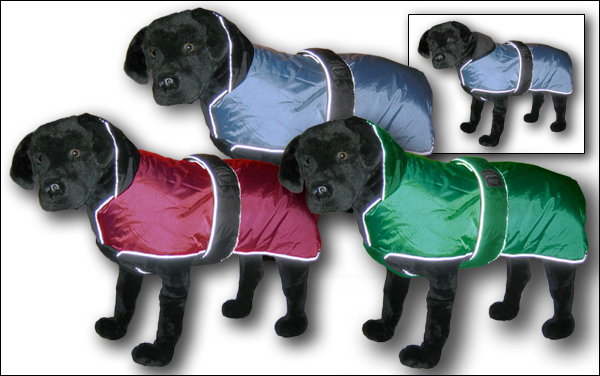 Animate Jet dog coats are available in 14 sizes at 2″ (5cms) increments from 8″ (20cms) to 34″ (85cms). To identify the correct size coat for your dog measure from the base of the neck (where you’d normally fit a collar) to the start of the tail; the correct size coat will generally be the first coat size which is as long as, or failing that longer than, the dog’s back. As the size of the dog increases, so the size of the jacket becomes less critical. For example, if the dog’s back measures 9″ (23cms) the size of coat usually offering the best fit will be the 10″ (25cms) size. However, if the dog’s back measures 21″ (53cms) although the optimum size coat will be the 22″ (55cms) size, both the 20″ (50cms) and 24″ (60cms) size coats will usually offer a perfectly acceptable fit. If you buy the wrong size we’ll be happy to exchange it. Customers’ dogs – and at some time, we hope, cats! – all dogged up (or catted up, I suppose) in their ‘Animate’ coats and ready to face the worst the elements can throw at them! Illustrated on the page linked below are the wide range of sizes of these ‘Animate’ coats. 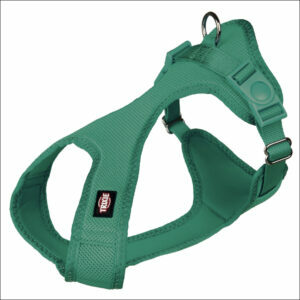 If you’re not sure which size is most suitable for your pooch, perhaps the photos on these pages will help you. If you’ve taken a photo – or even a video! – of your dog in one of our coats and are happy to share it with the world please email it us!